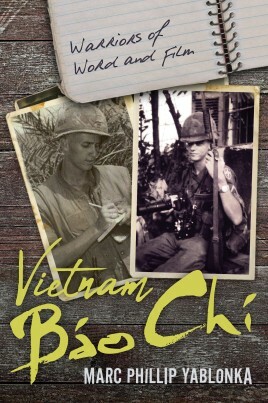 Bao Chi brings together interviews with 35 combat correspondents who reported on the Vietnam War. They wrote the stories of Vietnam, captured the images and filmed the television coverage of their fellow servicemen on the battlefields from the Mekong Delta in the south to the DMZ in Central Vietnam, from the Tet Offensive in 1968 to the fall of Saigon in 1975. They were men like Dale Dye, who would go on to play an integral role in the making of Platoon, the first film to realistically portray the Vietnam War; marine Steve Stibbens, the first Stars and Stripes reporter in Vietnam in early 1962; Jim Morris, 1st and 5th Special Forces Group, whose works such as War Story and Fighting Men, recount the soldiering of the Green Berets and their Montagnard counterparts in the Central Highlands of Vietnam; John Del Vecchio, whose classic work of nonfiction, The 13th Valley, mirrors his own existence as a combat correspondent with the 101st Airborne Division in Vietnam; and U.S. Navy Frogman Chip Maury, renowned for his free fall and underwater photography in Vietnam. For years, there has been a well-deserved plethora of work by and about those who covered the war as civilians, with this book dedicating four of its chapters to civilian media. There hasn't been enough about the soldiers, sailors, airmen, Marines and Coast Guardsmen who did so while wearing an American uniform. Yablonka's extensive experience as a military journalist brought him into contact with many of these combat correspondents, giving him a unique insight into their professions and lives. This book honors these brave chroniclers in uniform who brought the Vietnam War home to us. Marc Yablonka is a military journalist and author. He has written for Stars and Stripes, Soldier of Fortune, Army Times, and previously worked for ABC, Reuters, and the Los Angeles Times. His interest in reporting on matters of military and aviation history is evidenced by 27 years of writing on the Vietnam War and its aftermath. He also served as a Public Affairs Officer (CWO-2) with the 40th Infantry Division Support Brigade and the Installation Support Group, California State Military Reserve, at the Joint Forces Training Base in Los Alamitos, California, between 2001 and 2008. 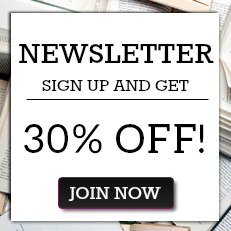 "Journalist Yablonka (Distant War) fills a void with this valuable collection of profiles of 35 American military journalists of varied sorts who plied their trade during the Vietnam War. […] This work shines light on the all-but-forgotten role of American military báo chí (press in Vietnamese) and fleshes out the history of Vietnam War journalism and journalists."